If you were 16, and it was two days before you made your Broadway debut as the lead role in the Tony award-winning musical Dear Evan Hansen you would likely be extremely nervous. On Jan. 30, the Jewish teenager took to the stage as the title character in Dear Evan Hansen a musical about a high school senior who has severe social anxiety that holds him back from connecting with people and making friends, which is all he really wants to do. The actor’s mother is an alumna and administrator at his private high school, Lawrence Woodmere Academy; his father lives in Manhattan; and he has an older sister. His Reform Jewish family celebrates the holidays (Chanukah being his favorite) and goes to synagogue; he says Judaism has “always been part of my DNA.” He went to a Jewish nursery, Hebrew school and had a bar mitzvah, all of which he feels “very lucky” to have experienced. His Jewish identity has made him a “really well-rounded” person, he says. “I think being a Jewish person in Long Island, you’re really a part of something bigger, and there are lots of Jewish people around us, and it creates a community and something to bond over from a very, very young age,” he says while taking a break from tutoring, which he does 15 hours a week to keep up with his schoolwork while preparing for Dear Evan Hansen. 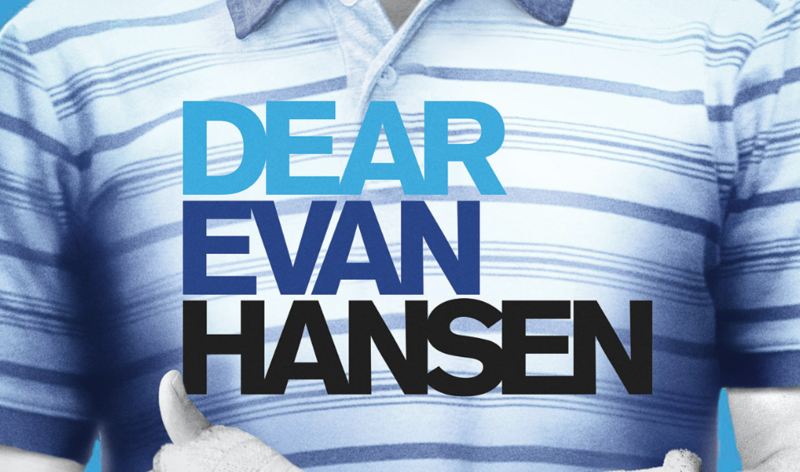 The creative team behind Dear Evan Hansen consists of a number of Jewish talents aside from Barth Feldman, including Benj Pasek, who co-wrote the music and lyrics for the show; Steven Levenson, author of a book by the same title; and the show’s producer Stacey Mindich, who saw Barth Feldman perform last June at the National High School Musical Theater Awards, known as the “Jimmys,” and offered him the lead role in the Broadway musical. He is representing the Jewish community now with taking on Evan Hansen, and expressed pride in the number of Jewish members on the show’s team. He first fell in love with theater at the age of 3 when he saw Beauty and the Beast on Broadway. When he was 8, he starred in his first show: a community theater production of Annie in which he played Mr. Bundles, the launderer at the orphanage who has an unrequited love for Miss Hannigan. Dear Evan Hansen is his first professional production. For his bar mitzvah project in 2014, he started Zneefrock Productions, a theater company run entirely by teens that fundraises for the charity NEXT for Autism. The theater company he founded is still going strong; last year, Zneefrock put on a production of Jason Robert Brown’s musical The Last Five Years about a failed marriage, with a different gender pairing at each performance to showcase various types of relationships. He is the youngest person to take on the title role. All of his predecessors were in their 20s when they played Evan, and Jewish actor Ben Platt, who won a Tony Award as the first to star in the title role, was 23 when the show opened on Broadway in 2016. He shared some advice to young actors hoping to succeed in show business, saying “learn as much as you can and from as many people as you can. But trust your instincts because you are a person, and if you’re in theater, you are probably a very emphatic person. So if you can tap into that and combine that with your natural human being instincts, you can create a fully formed person.